Did the Irish invent whisky? I don't really know for sure. But I do know they're pretty good at this game and this peated Connemara is an example of that. Sounds like a vegetarian delight! :) Good, edifying review, @OJK ... will have to try this one. @AboutChoice You are right, I am also gonna try it for sure. 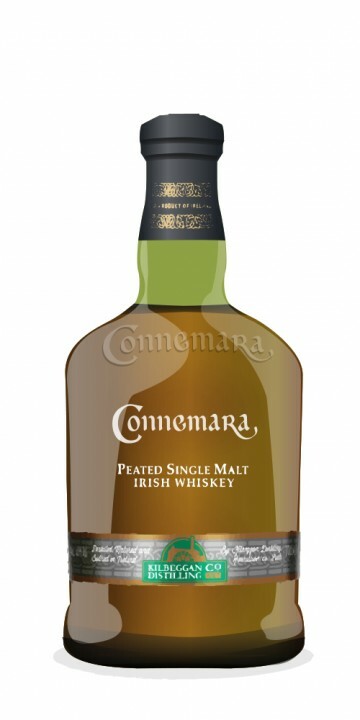 This lightly peated Connemara (only 15ppm) was released in a limited edition of 7000 bottles. It wond a gold medal at the San Francisco World Spirits Fair. Nose: lemongrass, dried apple, touch of peat (only 15ppm). Little sour note: buttermilk? Very good, though. Taste: sweet and sour battle for supremacy. It does seem a little watery, though. Light almond and even lighter smoke. Touch of mashed banana. Quite a bit of oak. Hint of mint. Finish: Gentle with a bit of smoke. This is the kind of whisky that you’d put on the table while playing cards with friends during a winter night. And at the end of the game, the bottle’s gone and nobody minds!